Did you notice there is a new tab on the blog? Yep, a whole tab for…GaMeDaY ReCiPeS! That’s right! 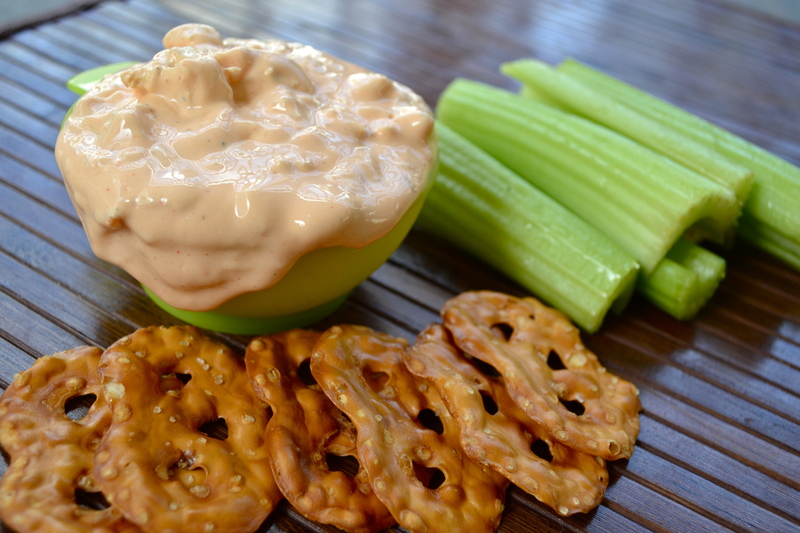 As a college student, it only makes sense to start a trend for healthy gameday recipes! I was offered the opportunity to team up with GamedayR, an incredible website centered around college sports, to provide them healthy gameday recipes! Gamedayr™ is an absolute culture brand for college sports built on the passion surrounding gameday. The network provides athletes, fans, media, coaches, trainers and individuals involved with college sports a central location for the content and information they want to contribute, find, and share. But back to the actual recipe, what is more gameday appropriate than a spin off the very well loved buffalo chicken wings?? 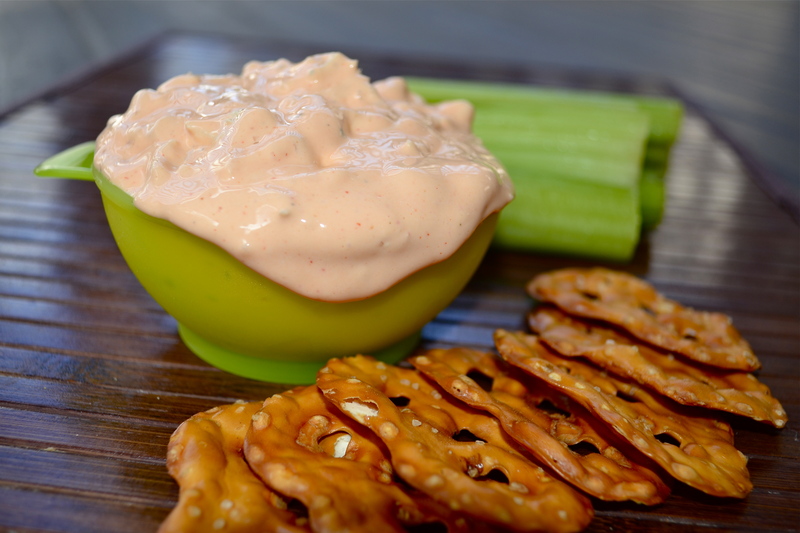 This dip is hot and spicy, yet cool and refreshing. Perfect for a hot gameday afternoon. You may have seen similar dips, but I can assure you they were anything but healthy. But rest in peace, this one IS healthy…and delicious! Pair it with chips and crackers, or a lot of colorful veggies, decision is up to you. But I promise this will be a hit at any tailgate! Directions: Combine all ingredients in food processor or high speed blender except for chicken. Blend until smooth. Stir in finely chopped chicken. Store in refrigerator for at least one hour for flavors to absorb. 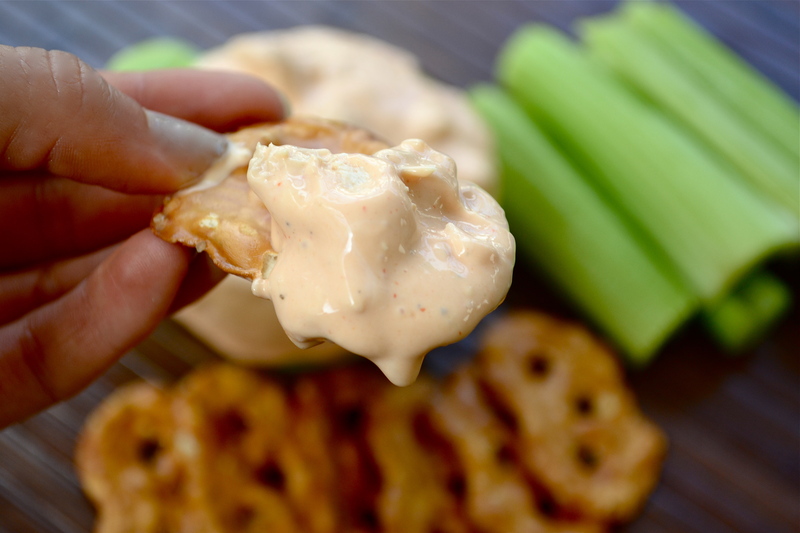 Serve with veggies, chips, crackers, or other desired food. 10) Essential for Tissue Growth: contains riboflavin, which drastically reduces your skin problems and repairs dry or damaged skin.